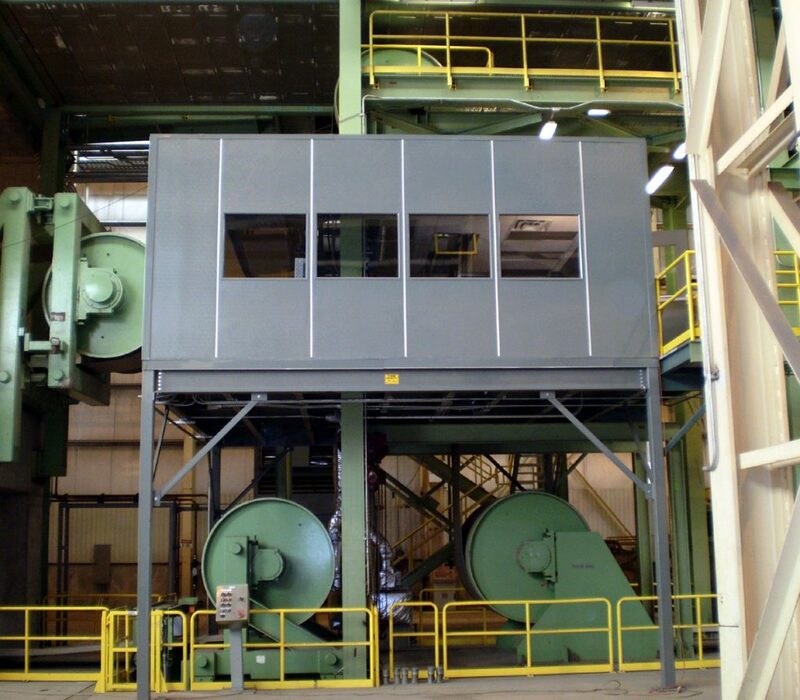 Challenge: A temperature controlled operator inspection cabin that would make it easy for around-the-clock inspectors to check steel sheeting for imperfections with minimal disruption to the line. They chose Alba Manufacturing to help them. Solution: Alba came to Panel Built with the basic requirements for the project. Panel Built’s Engineering Department designed a unique structure with cut-outs for the steel sheeting to be fed directly through the bottom of the building, passing by high speed cameras that detect any imperfections. The steel then goes through the roof to an outside roller and returns through the roof on the opposite side, where an inspector can stop the line and personally inspect the steel in question before it continues down the line to be put on rolls and stored. Panel Built Delivers: The building is fully air conditioned and maintains a constant temperature of 72 degrees even though the steel is 115 degrees when passing through. There are custom brush wipers on all four openings to help keep the air in an almost positive pressure situation. Project Specs: 23’ x 25’ mezzanine with custom cut-outs and a 14’ deck height. Mezzanine supports a 23’ x 25’ stucco embossed aluminum control cabin with custom cut-outs.